ALSINGER INTEGRATION provides services to a wide range of industrial automation manufacturer in Australia and East Asia. Years of experience and domain knowledge allows us to project manage, design, build and implement process controls systems across most of the industry sectors. Alsinger Integration understand controls and correct implementation strategies that guaranties high performance levels in your manufacturing facilities. To service your needs even better we work with high level engineering tools that allows for seamless, transparent, validated implementation with the highest levels of integrity and one point of entry from design and documentation to practical completion. Our partner company, Paradigm For Excellence, is part of the total solution adding plant floor efficiency monitoring systems, SAP and other MES/ERP systems to our portfolio. Therefore covering all needs from design documentation and software development to the electrical needs at the plant floor level. 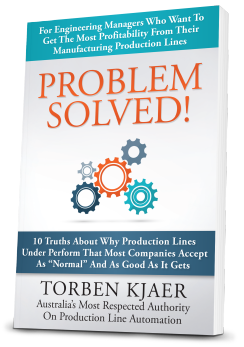 Want to learn 10 truths about production line automation? Ready to collaborate to maximise performance & profitability? To provide our clients with reliable and lasting solutions through mutual profitable alliances. To convey our in depth knowledge about the industry and its methods for efficient, robust and reliable process controls implementation. We pride ourselves in maintaining our reputation to provide first class services and solutions with lasting high quality results in the areas below. We have extensive domain knowledge with various vendor engineering firms and are always looking at new products that allow for efficient and reliable implementation of control systems. Prodef is a high level software engineering tool and is PLC and SCADA vendor independent. Prodef allows you to build your process with IEC compliant programming languages independent of the PLC and SCADA platform. Once the process is build, simply choose your PLC and SCADA platform in any combination. This allows for reusability across the major vendor ranges, provides transparency and a high level of controls integrity between PLC and SCADA and ensures minimal errors. Some of the supported vendor platforms are Step 7, Allen Bradlay, Schneider, Intouch, Ifix, Citect and more.